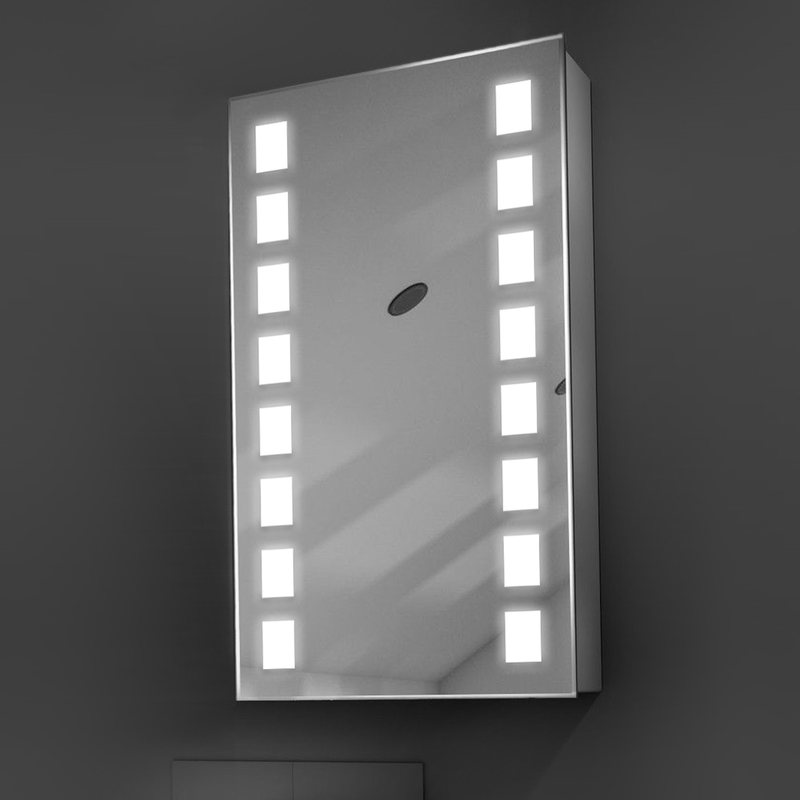 The design of the Benmore cabinet consists of 16 rectangular LED light portals arranged vertically with 8 on each side of the mirror. 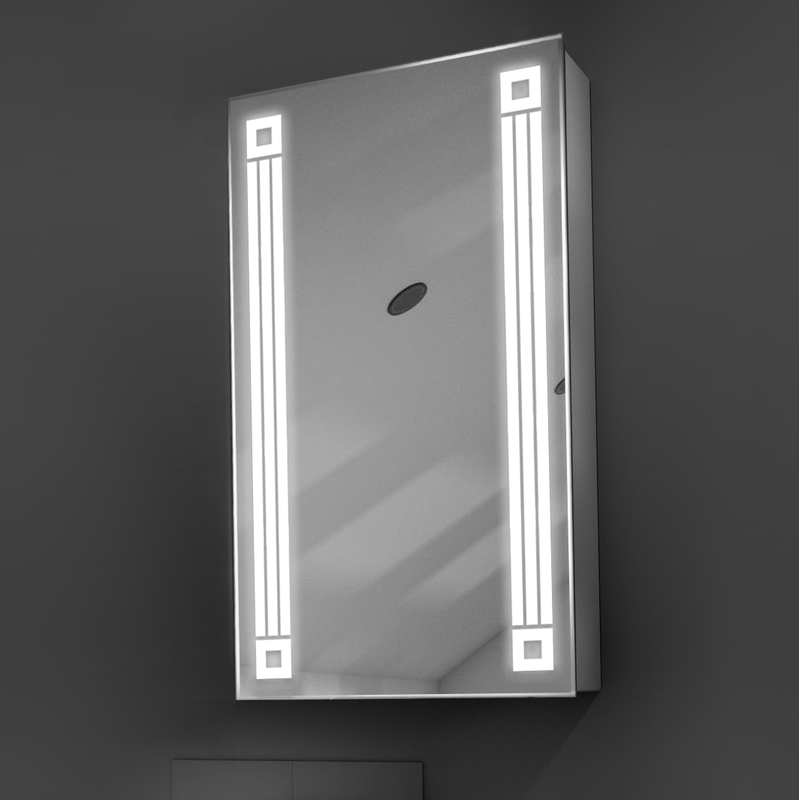 Like all UniLED cabinets the Benmore features internal LED Lighting and a built-in demister. UniLED Cabinets come with a 2 year warranty on workmanship and components. 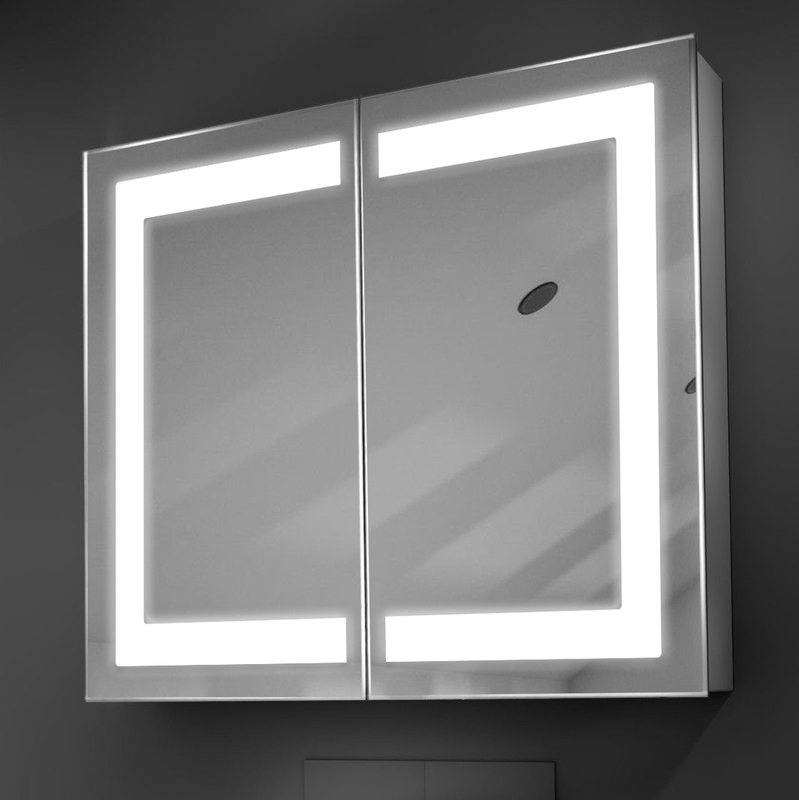 In the unlikely event that your mirror or cabinet develops a fault we will repair or provide a replacement. Unlike cheap imported cabinets all of UniLED's products are manufactured to a high quality and built to last. 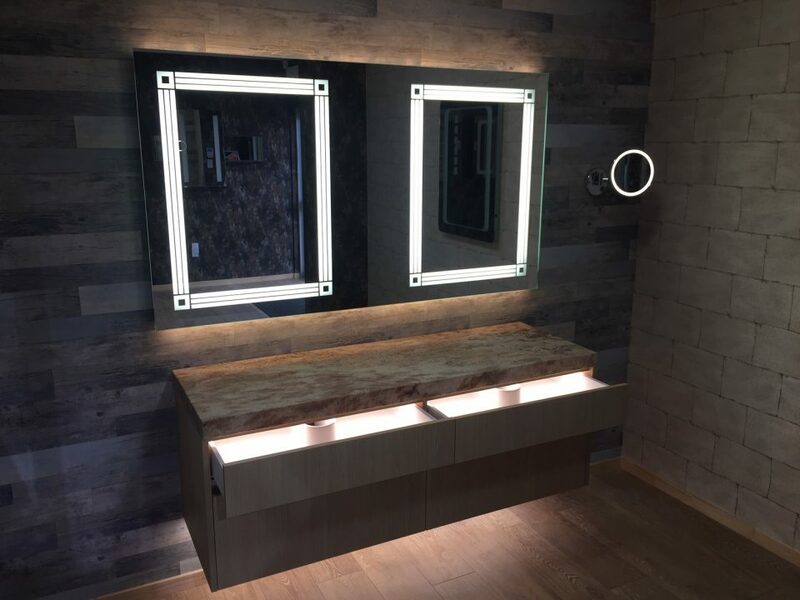 Our stringent quality control measures ensure that you'll be able to enjoy your mirror for years to come. Submit your product enquiry below and a representative will be in touch to discuss your needs. Single door - Max width of 600mm. Double Door - Max width of 1200mm. Triple Door - Max width of 1800mm. Minimum width of any door is 500mm. Any sizes within these parameters are possible. Interior Cabinet depth - Min depth 120mm max depth 200mm. 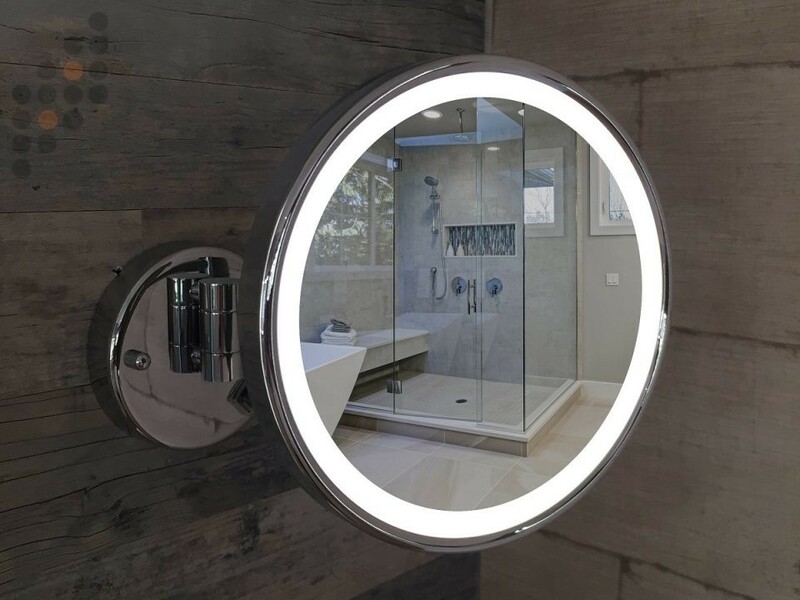 Allow for an additional 25mm in depth to account for the door/mirror thickness. Allow for an extra 20mm in height to ensure the door is easy to open and close.